It's no secret that President Trump would like to shake off the Joint Comprehensive Plan of Action (JCPOA), the nuclear agreement with Iran. Negotiated by the Obama administration and opposed by most Americans when it was finalized in 2015, it was called by candidate Trump "the stupidest deal of all time." In his search for the right mechanism to break free of Obama's nuclear handcuffs, he appears to have settled on declaring that Iran is in violation of the agreement. Questions about the fate of the international arrangement came to the fore during Trump's presidency first in April and again in July, when the recurring 90-day deadline to certify Iran's compliance came up. According to multiple reports, Trump was ready to label Iran noncompliant but on both occasions Secretary of State Rex Tillerson hadn't prepared the diplomatic groundwork. That left the president with no option but to recertify. He warned Tillerson not to let it happen again when the deadline circles back in October. The president appears to be left with a few options. He can plead his case internationally, declaring that Iran is failing to follow either the letter or the spirit of the deal as outlined in United Nations Security Council Resolution 2231, which locked in the arrangement. That would require a functioning State Department on the same page as the White House. He can also declare that Iran isn't complying with the four conditions Congress laid out in the 2015 Iran Nuclear Agreement Review Act (INARA): Iran is implementing the deal, including all related agreements; not in material breach; not advancing its nuclear-weapons program; and the "suspension of sanctions related to Iran pursuant to the agreement is . . . vital to the national security interests of the United States." If the Trump administration found Iran in violation of those conditions and didn't give his stamp of recertification every 90 days, it would start a 60-day clock on which Congress would need to vote on whether to re-impose the secondary sanctions or, instead, walk away from the agreement altogether. Given the mounting evidence of a range of nuclear-related Iranian violations, and ballistic-missile launches and the transfer of arms that are forbidden under the U.N. resolution, the president will have a strong hand to make his case. Either option would likely satisfy those who want to see the functional equivalent of the president's ripping up the agreement. A third option is to ignore Iranian infractions and submit the JCPOA, as an international treaty, to the Senate for its advice and consent. That's what should have happened in 2015, as mandated by the U.S. Constitution since 1788 — Article II, Section 2, Clause 2, for those keeping score. Ratification of the treaty would require a two-thirds majority, or 67 votes. It most assuredly wouldn't pass. That is why President Obama sidestepped Congress and went straight to the U.N., to tie America's hands internationally. On the domestic side of the ledger, he revoked a series of presidential executive orders, canceling a 20-year system of sanctions. That relief is the main gift Obama delivered Tehran at the outset of the deal, and continuing to waive the sanctions keeps America's commitment in place. The problem with refashioning the agreement as a treaty that would die in the Senate is that it would still be seen for what it is: a clever ploy to unilaterally kill the deal while protecting the president. After all, he could claim that he was following the law set out in the Constitution and that it was not his fault it didn't pass the Senate. He could even turn to his favorite foil of the week, Senate Majority Leader Mitch McConnell (R., Ky.), and fake some outrage. From a legal standpoint, however, the president doesn't need congressional approval or a list of Iranian violations to get rid of the deal. The question has always been: If the U.S. leaves it unilaterally, how will it sell that decision at home and abroad, and what comes next? While it may feel good to break free of the Iranian yoke, in these three scenarios the U.S. would be on its own and blamed for torpedoing an international agreement, even if those who liked the arrangement had no intention of enforcing it. There is, however, another path available that could accomplish the same task while likely avoiding a hurricane of international outcry. 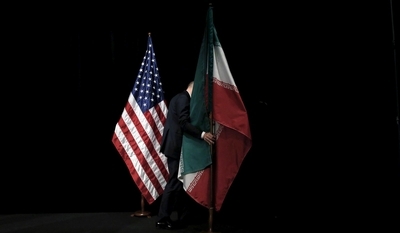 The United States can stick to the deal while increasing the penalties Iran faces for its infractions. The four INARA conditions allow for certification even if Iran is violating other aspects of the deal on the margins. Notably, they don't require the administration to certify that Iran is complying with the nuclear deal in toto — a higher standard to meet. This leaves the White House and Congress with room to maneuver. For example, if in October the Trump administration finds that Iran is not complying, it does not have to scrap the deal in its entirety. Instead, the president could work with Congress and the Treasury Department to apply increasingly tough sanctions and other pressure in direct response to violations of the agreement. Meanwhile, they could push back on all of Tehran's troubling behaviors that are outside the scope of the narrowly focused nuclear arrangement. Those areas include Iran's human-rights abuses, support for terrorism, and burgeoning ballistic-missile program. In addition to financial force, the U.S. could kinetically engage with Iran's Revolutionary Guards Corp (IRGC)–supported proxy forces in the Middle East, beginning with those in Syria. The fact is that the U.S. has more tools at its disposal than are currently being deployed, and it can more effectively push back against nefarious Iranian activities than the current policy suggests. At first blush, it would appear that the strategy was simply to maintain and enforce the dangerously flawed deal. In this scenario, however, the objective to jettison the agreement would remain, but the means to achieving that aim would rely on the application of pressure that makes Iran decide to opt out of the deal. President Trump and the Republican-led Congress have already started down this path. For example, in February, U.S. sanctions targeted Tehran for missile-procurement activity, and in July they targeted 18 "illicit Iranian actors," individuals and entities, who were involved in "transnational criminal activity." In August, the president signed into law the Countering America's Adversaries Through Sanctions Act, which targets all three areas outside the JCPOA — human-rights abuses, support for terrorism, and ballistic missiles — in addition to Russia and North Korea. While they represent solid first steps, America's pushback needs to increase in both strength and scope. For example, of the 110 international agreements (worth at least $80 billion) that Iran has signed since 2015, 90 have been with companies owned or controlled by Iranian state entities, which include the IRGC. That comes to around $67 billion sloshing around state coffers. That means many more IRGC members can be targeted with sanctions. But why stop there? The U.S. can work with the European Union to specifically target members with dual citizenship and go after the visas that give their families easy access to the West. There are plenty of additional avenues the Trump administration can explore to make life exceedingly miserable for the regime in Tehran and its supporters. Pursued correctly, this strategy would leave Tehran with little reason to remain bound by the JCPOA, and in the international arena it would be Iran, not the United States, that would be held accountable for the agreement's demise. The strategy would also provide more time for the U.S. to engage in much-needed overseas diplomacy to prepare allies for such an outcome and to coordinate responses and penalties — a daunting task even in the best circumstances. Furthermore, this fourth option forestalls the need for a more comprehensive American solution, military or otherwise, while clearing the president's deck so he can better grapple with the urgent threat posed by North Korea. After all, how the U.S. handles the North Korea crisis will directly shape Iran's perception of any threat posed by the U.S. Those who lament the lack of good options for dealing with Kim Jong-un should take note of how much worse that situation will be in just a few years in the far more volatile Middle East. There's reason to believe that such a plan, to exert mounting pressure, would work and that the Islamic Republic would walk away from the agreement. As expected, the regime is currently making noise that the recent package of U.S. sanctions violates the nuclear agreement, even though it applies only to areas outside the JCPOA. While this plan might not feel as good as ripping up the agreement in October, it doesn't foreclose the other options in the next few years. It keeps in place the modest, short-term restrictions on Iran's nuclear program, measures that should prevent Tehran's looming breakout toward weaponization in the immediate future. Pursuing this option may be the best way to reestablish the leverage the U.S. traded away in 2015. The irony, of course, is that enforcing the deal while exploiting its flaws could ultimately be the key to unlock America's hands from Barack Obama's unfortunate nuclear cuffs.